Remove all doubt and be sure that your product is properly coated... without breaking the bank! 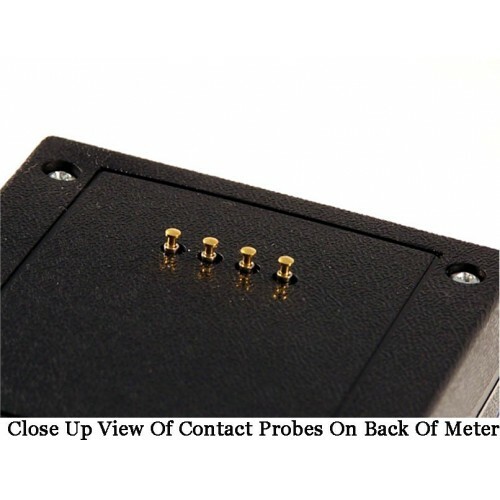 EDTM is proud to offer budget-friendly Four Point Sheet Resistance Meters that are calibrated to standards that are traceable to a NIST traceable source. and is an important QUALITY CONTROL component of a coating. Therefore, resistivity may be the most important factor in determining the repeatability and function of a coating. Sheet resistance has the unit of ohms, but it is convenient to refer to it in ohms per square since the sheet resistance produces the resistance of the coating within any square area. Therefore, this parameter is measured using the 4-point technique. Pocket Size Protection for production, R & D, sales, and quality assurance personnell who must know their products are coated properly. Strengthened / Tempered Glass Detector Confirm if your single or double pane glass has been strengthened. Strengthened glass can include Heat Strengthened Glass, Tempered Glass and Safety Glass. 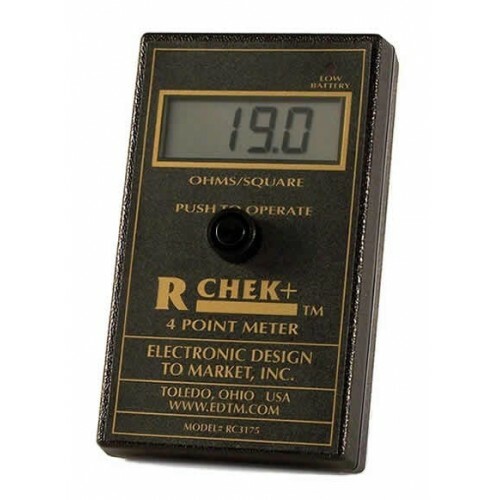 It is also sometimes referred to as "Tough..
"R-Chek" Four Point Sheet Resistance Meter Remove all doubt and be sure that your product is properly coated... without breaking the bank! 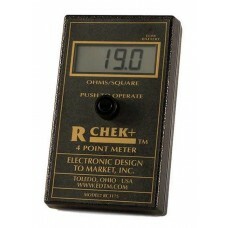 EDTM is proud to offer budget-friendly Four Point Sheet Resistance Meters that are calibrated ..